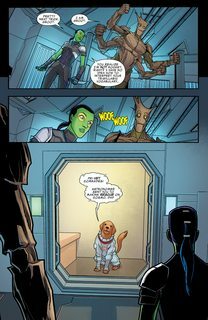 Guardians of the Galaxy – The Telltale Series #2 (2017) : Target: SAKAAR! The Guardians have to rescue a fan-favorite character (NO SPOILERS) from the gladiator pits of this gambling-mad planet, but YONDU and the RAVAGERS might have something to say about that! Also: Drax becomes the Green…uh…Scar (A PHRASE WE TOTALLY JUST MADE UP) in a most unexpected way!